In addition to this, he's got a summer tour as part of the reunited Cracker, and in 2013 he and Lowery will be getting together to record another Cracker album. In the meantime, I'm looking forward to hearing this. Over at the Centro-matic site, earlier this month they put up a new video of Will Johnson singing "To Copeland Lines" at a recent performance at Frank (purveyors of artisan sausage) in Austin. Man, what a beautiful song. Check out the site for all kinds of cool stuff, including Will's artwork, the schedule for Will's living room tour occurring next month, and a free 24 song sampler that one might call A Young Person's Guide to Centro-matic/South San Gabriel. There's also a link to the Transistor Six website, where you'll find more audio tracks from the Frank show, along with other good stuff. For you lazy folk, here's the Transistor Six link. Have a great weekend. If you like what your hear, check out the rest on this Bandcamp stream. The first run of the cassette version of the EP already is sold out, but a second run is planned for July. The digital version is available at the Bandcamp site. As we welcome, actually demand, the onset of summer, our thoughts naturally turn to music appropriate for that season. One new discovery that fits the profile is Sun Sister, a band from Fitchburg, Massachusetts, but rostered by UK label Tye Die Tapes. The band consists of a female vocalist, Stacy Baird, and three male musicians, Greg Prendergast, Dan Stocking, and Greg Tellier. Their music is a really nice mash-up of indie soul and dream pop/shoegaze. Their album will be released on Tuesday, April 30, but you can stream all four tracks below. Give it a try, I think you'll enjoy it. The Soul Corner - Bettye Swann "Make Me Yours"
I am traveling this week to my nephew's wedding in Highlands, NC, and making a quick stop in Athens GA on the way. So I did a little research to find an artist from one of those towns. Of course, neither is a hotbed for soul music, Highlands being a mountain resort town of mainly second homes, and Athens of course the hotbed of college rock. But did you know that R&B legend Bettye Swann, originally from Arcadia LA, lived in Athens for awhile after her string of soul hits in the late '60's-early '70's? She later relocated to Nevada where she had a productive career in education and still resides. 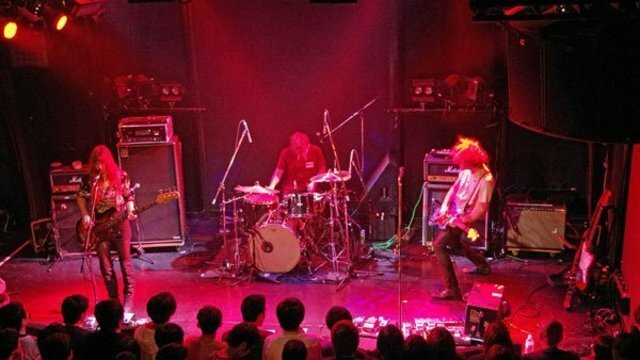 Austin's terrific psychedelic guitar rock band Ringo Deathstarr is working on a followup to 2009's Colour Trip, and they have made a video to ask for your help in getting it made via PledgeMusic. This pledge trend, essentially offering fans the opportunity to become patrons of their favorite bands, it is very interesting. If you like this kind of music (think Jesus & Mary Chain, Swervedriver), I can think of a lot worse places for you to place $10. The candidates for summer soundtracks are starting to surface. It may seem early to you, as we haven't quite breached the May page on the calendar, but in the worlds of publishing, fashion and cinema everything is prepared well in advance of the season, so maybe summer albums in late April are just in time. In any case, while looking for your soundtracks you shouldn't ignore Candy Salad, the sophomore release for Brooklyn's Suckers. Full to the brim with hooks, melodies, sonic frills, and impeccably crafted songs, the album is unfailingly entertaining. It clearly is pop music, but has an undercurrent of tribal rhythms and doses of experimentation. I might suggest that Suckers bridge the gap between a mainstream pop band and Yeasayer or MGMT. Or perhaps it is more accurate to say that they are more disciplined and less uptight than Arcade Fire. But regardless of the description, it is good music. Suckers are Pan, Quinn Walker, and Austin Fisher, all originally from Connecticut. They formed the band four years ago, and released their debut album, Wild Smile, in 2010. Candy Salad was released on April 24 on Frenchkiss Records. The band begins a month long American tour on May 1. New live video from Conduits - "The Wonder"
There are other videos and a few free downloads available at the review, and also at this link. They have a great guitar rock sound. Find more at Cuzo's website or click here to buy. There's an iTunes link, in case you don't want to fool around with the Spanish instructions. Today's new-face-in-the-crowd for our WYMA readers is San Francisco's Cool Ghouls. The band consists of Cody Voorhees, Pat Thomas, Ryan Wong, Pat McDonald, and Alex Fleshman, and they play a loose and energetic version of garage and '60s guitar pop. While they aren't yet signed to a label, they apparently have an album recorded and intend to release it this summer. Based on what I've heard over the internet, I'm looking forward to the album. Here is a three-song set loaded into Soundcloud by guitarist Ryan Wong. I don't know whether any of these songs will be on the album, but I think they are good tunes. If you like songs, you can download them for free. I especially like "Hot Summer", a great '60s-style indie pop tune with a vampy rhythm. A few more tracks are available to download at their Facebook page, which is linked below. 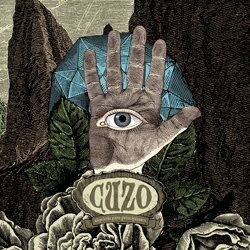 In addition, the "Recorded Music" tab at their website has two EPs available. Finally, here is a video of a gallery show for which they were part of the entertainment. RVCA: THIS IS US from Benjamin V. Ho on Vimeo. Cuff the Duke is an "Americana" indie rock band based in Toronto, recording on Paper Bag Records - the same label as WYMA favorites PS I Love You. Sonically, Cuff the Duke is mining the same territory as bands like Whiskeytown and Wilco. They've generously made a six-song covers EP available for free download and, trust me, you are going to want it... if for no other reason, than to hear their lovely version of GbV's "Smothered In Hugs". Here's the video for the song "Count On Me" from their recent full-length Morning Comes, released in Canada in the fall and in the US in February. What I've heard, I like - and plan to get hold of the whole album soon. The EP is terrific! What we've got here is a garage/psychedelic summit meeting--San Francisco's Ty Segall and Los Angeles' White Fence (Tim Presley) have produced one of the year's indie rock burners: Hair. Some tracks are more in one genre camp than others, but at its core this is an album with a foot in lo-fi garage rock, and a foot in psychedelia of the Syd Barrett vintage. And a wonderful combination it is. A listener quickly gets the feeling that there were no rules or templates for this recording. The boys plugged in and the music took them where it had to go. We're just the lucky beneficiaries. Hair is out on Drag City today, April 24, and is available on vinyl, CD and digital download. While punk rock is an enduring form of popular music, it seems to me that modern punk more often springs from the pop punk portion of the spectrum. However, if you crave the brand of '70s punk--infused with anger and aggression--and then overlaid with a post punk soundscape, you will be a fan of Fear Inside, the new EP from London's Clockwork Era. The vocals may remind you a bit of The Fall's Mark E. Smith, but Clockwork Era distinguishes their effort with a palpable element catharsis riding wild waves of buzzsaw guitar and pounding percussion. It consists of four tracks and is over in 15 minutes, but it is a great ride and it will leave you wanting more from this band. Clockwork Era is Jason Lipscombe and Cat Gray and they list their hometowns as London and Newcastle. The Fear Inside EP is released this week on Radical Noise Records. New single from Exlovers "This Love Will Lead You On"
I trust that I didn't cause any panic. This isn't necessarily a recording from your ex lovers. It is a recording from London band Exlovers. The band is releasing the LP Moth soon, and I'm very much looking forward to it. In the meantime, we can enjoy "This Love Will Lead You On", the first single from the album. Exlovers are Pete, Chris, Brooke, Laurel and Danny, and they are signed to Young and Lost Club label. When You Motor Away is supportive of ventures undertaken in working breweries. In fact, we very much would like to locate our executive offices in such an establishment. Regrettably, negotiations intended to fulfill that dream broke down when we asked to be provided a daily ration of product, while our putative landlord had in mind that instead we would have to pay some sort of rent. So here we sit in our respective, soulless glass towers, grumpy and more than a bit thirsty. Accordingly, we are very happy about Tom Williams and the Boat, because their music makes us feel good, and happy for Tom Williams and the Boat, because they actually record in a working brewery in the Kent countryside. The members of the band are Tom Williams, Anthony Vicary, Geri Holton, Chris Stewart, Josh Taylor, and David Trevillon. They made a good album--give it a spin. Review: M Ward - "A Wasteland Companion"
I am drawn to musicians who seem to be "old souls" - tasteful artists with their own unique style inspired by many decades of highly varied sources. They are not retro, hard to pigeonhole, as much of the present and future as the past, timeless. We've written about many old souls here at WYMA, including Levon Helm, Joe Henry, Tom Waits, Lisa Hannigan, and most recently, Brittany Howard of the Alabama Shakes. 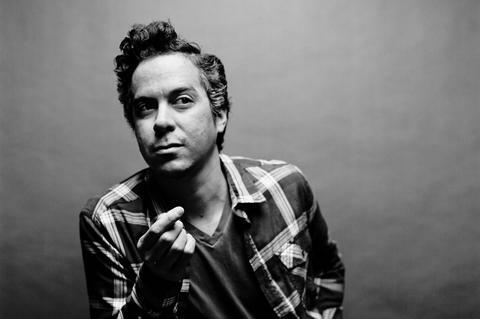 M Ward is one of those old souls with his gentle evocative voice, beautiful guitar tone, masterful melody writing. His work incorporates elements of folk, blues, country and rock, and everything in between, plus a healthy dose of the Beatles. "Primitive Girl" is not the only piano-based song, with both Ward and Howe Gelb playing piano here. She and Him fans will enjoy two duets with Zooey Deschanel, "Me and My Shadow" and "Sweetheart", the latter a radically rearranged Daniel Johnston cover. As always, Ward is perfectly supported by very capable players, tasteful arrangements and spot on production. If you have somehow missed the boat on M Ward, this is a fine place to start. Ward is a talented artist with a clear sense of what he is trying to do. A Wasteland Companion is great stuff from start to finish. Pat Hynes (vocals/guitar), Keir Reid (keyboard), Hugo McGinley (guitar) and Ralph McClure (drums) are Holy Esque, a relatively new Glasgow band with a rapidly brightening future. The band was formed a little over a year ago by the four teenagers. They built buzz through some internet-released demos, and by early 2012 hit the studio to record. The product of those sessions is the band's self-titled debut LP, which is released today. However, "Ladybird Love" can be streamed here. And "Prophet of Privilege" can be streamed here. The EP is available in digital form from iTunes. Physical copies will be available at live shows for a period of time, and then made available for purchase via mail. 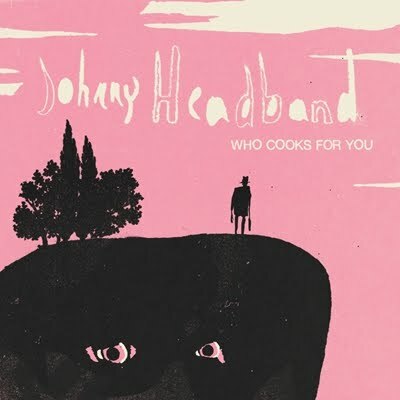 Emerging from Detroit with a healthy dose of dance, psych, pop and punk influences is Johnny Headband - a group built around the brother team of Chad and Keith Thompson - Chad being a recording engineer of some repute, and Keith being also the bass player in Electric Six. Johnny Headband - Over There from Johnny Headband on Vimeo. Johnny Headband - And Then Again from Johnny Headband on Vimeo. As I said, a lot of influences, including a very strong (and welcome) resemblance to Beck in places - I like the vocals and the music is catchy as heck. I find their music funky in several different ways. And guess what? You don't have to take my word for it. These guys just want to get heard... so go download it, and tell all your friends.